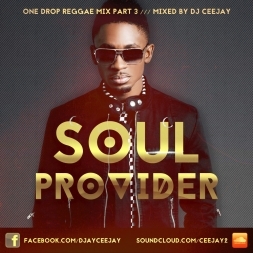 The mixtape you are about to listen is the third installment of the popular Soul Provider mix series. This current and smooth mix is put together by Finland's own reggae ace, DJ CeeJay. This mix presents to you some of the hottest Jamaican songs at the moment like Romain Virgo's "Stay With Me", Protoje's "Stylin", Jah Cure's "Rasta" and Chris Martin's "Steppin Razor" blended with classics like Sizzla's "Be Strong" and Norris Man's "Home & Away". Take a listen, it's going to be great! Mixplosion Souls Mix.. March 2014..